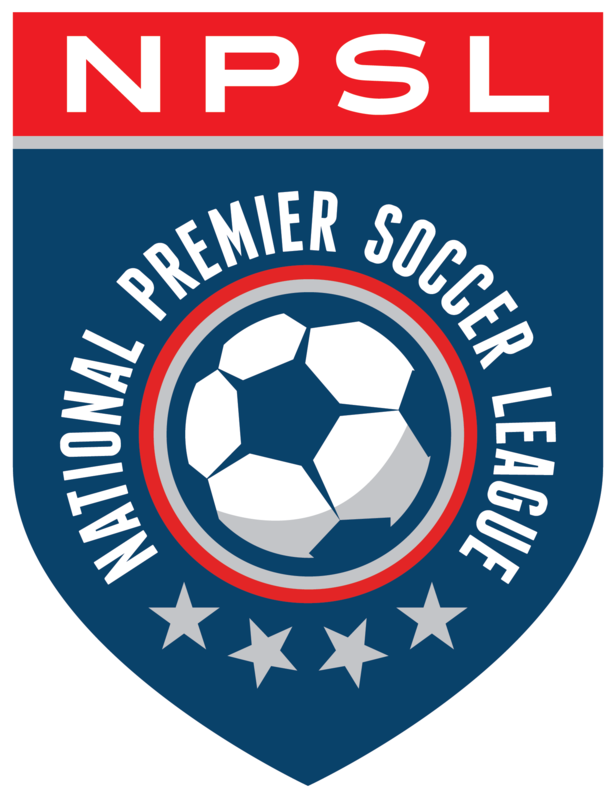 Your guess is as good as anyone’s when trying to determine which team will emerge as Southwest Conference champion in the National Premier Soccer League this season. The division boasted four teams with excellent records in 2017. Defending champion FC Arizona, Orange County FC, Riverside Coras and ASC San Diego (formerly Albion SC) were separated by six points after the 16-game regular season. And they are primed to make another serious run to the postseason. Temecula FC owner Brandon Jantz agreed. FC Arizona doesn’t have any plans to give up the NPSL Southwest Conference crown. With several key players returning and a few new faces to bulk up its depth, FC Arizona is deep and talented at every position, according to owner Scott Taylor. If FC Arizona can match last year’s record (12-0-4) and production (outscoring the opposition, 47-3), it should be just fine. Head coach Maxi Vieira, a former Uruguayan First Division player who played with the San Jose Clash (Major League Soccer) and was an assistant coach with the Qatar national team in 2015, has put together another formidable side that could rival last year’s 12-0-4 finish. Chris Ramsell and Nacho Coba are expected to anchor the midfield again with Cesar Mexia, a West Region Best XI selection, leading the forward charge. They will be helped by a few newcomers, including center back Luke Lavanway, right back Tyler Feeley and midfielder Noah Vulovich. Coached by former U.S. international Paul Caligiuri, Orange County FC (10-1-5) figures to be in the mix this season. Orange County FC boasts plenty of quality, including defender Michael Bryant, an NPSL third-team selection, midfielder Connor Gordon, an NPSL second team pick, and Brandon Gomez, plus newcomers Dakota Collins and Cody Shelton. The team led the conference with 65 goals, 18 more than its closest competitor, FC Arizona. If there is one thing Orange County FC would like to improve on, it would be to “scout players outside of Southern California,” team president Nader Debash said. Is this the year the Riverside Coras (11-3-2) go from bridesmaids to conference champions? Club president and manager Rob Lopez certainly thinks so. Lopez’s optimism is based on six key returnees — goalkeeper Alonso Lara and forward Shane Shelton, defender-midfielder Hugo Gutierrez, defender Jimmy Ross, defender Jose Perez and Ramon Nunez for head coach Gabe Placencia. Asabi Gbanzi, Diallo Idi, Hernandez Jose Alberto, Vallejo Antonio, Zaragoza Fred, Torres Alexis are among the key newcomers that will provide support to the veterans. ASC San Diego (11-4-1), formerly Albion SC which finished fourth last season, is expected to be in the mix. That boot belongs to forward Amani Walker, who shared the award with Orange County FC forward Alessandro Canale. Both players scored a league-best 18 goals. He will be aided by returning starters Felipe Liborio and Jean Antoine and newly signed Marius Heislitz and Aleks Berkholds. Temecula FC owner Brandon Jantz isn’t necessarily hoping to vie for the title, but to develop players. Coached by Austin Levins, Temecula FC will try to improve on its sixth-place finish and 5-8-3 mark of a year ago. That’s because the team uses younger players. So, there is always a learning curve, but that’s fine with Jantz, who felt the squad’s fitness will take it far. Defender Steven Lamberta, who tallied twice in Temecula’s 2-2 preseason draw with La Sierra University Feb. 25, and midfielder Ryan Brent are the two key returnees. Newly acquired Ben Chamberlin and Dean Meltz will vie for the starting goalkeeper spot while Sergio Lopez is expected to help solidify the midfield. The learning curve was a steep one for Oxnard Guerreros FC during the 2017 season and knowledge could go a long way this year. The new coach is Juan Florez, who has kept several players from a 5-10-1 team, including central midfielders Tito Anguiano and Luis Rivera and forward Tito Emmanuel Ayken. Florez also brought in some fresh blood in Moises (striker) and Emilio (center back) Orozco, who have had stints in Major League Soccer, North American Soccer League and United Soccer League. Oxnard had a strong attack last year, but needs to “shore up our back line,” Otto said. In the offseason the club did its homework. It hosted the 2017 OGFC Combine Cup for the City of Oxnard as eight local teams competed in front of OGFC coaches. “It was a great event for the community and young standouts such as Raul Gonzalez and Roy Solis emerged, earning a spot for the upcoming season,” Otto said. FC Golden State will make its NPSL debut this season. Coach Vinnie Cortezzo likes what he sees. He likes what he sees so much that he feels Sonoma County Sol FC can make a run at its second NPSL crown in its history, having secured the 2009. “We believe Sol has the talent to win the conference and make another run at a national title,” he said. Cortezzo’s optimism is based on the fact Sonoma has an experienced core returning and some strong new talent. The defense is solid with the likes of experienced goalkeeper Sean Taufer and defenders Chris Rodd and Ryan Rohane. Michel Arroyo will bring experience to the midfield as will Omar Nuno to the front line. The backline has been shored up with the additions of Eric Alvarado and Dane Shaffer. Josh Sanchez and Maury Lopez will contribute to the midfield. If you take a look at the trajectory of the CD Aguiluchos USA, it is going only one way — up. In its first NPSL season in 2013, the team finished in fourth place in the Northern Division, took third the next year in the Golden Gate Conference before duplicating the feat in 2015 while reaching the national semifinal. In 2016, the Oakland, Calif.-based club was runner-up and reached the postseason again. In 2017, the squad won the conference crown with an 8-3-1 record and qualified for the national semifinals. Last year CD Aguiluchos USA was led by defender Ricardo Guerra, an All-NPSL first-team selection, and forward Simon Rawnsley, who earned second team honors. Last season the East Bay Stompers (3-6-3) scored all of 14 goals, which placed the team next last in the division. So, not surprisingly, the team went out and bulked up at that position with six new faces and a dozen fresh legs. “This is where we would drastically like to improve,” owner Bill Forte said. The new forwards included Gustavo Tavera-Rico, a former team leading scorer who returns to the club last playing there in 2015, Jorge Ruiz, who played professionally in El Salvador, Michael Tieku and Rajaee Delane. Other new faces were Luis “Manotas” Castro, a former CD FAS and El Salvador national team goalkeeper, defender Gerardo Moya and midfielder Nigus Solomon. Forte promised even more acquisitions for head coach Martin Sierra and technical director Dave Mahabali. East Bay’s strength is in the back. Luis “Luigi” Castillo, who missed the 2017 season with an injury is healthy again. Gilbert Coulibaly, Jesus Leon and Emanuel Vazquez give the side depth at center back while Prince Bere, Michael Molinari, and Ali Radmand are slated to patrol the flanks on defense. The midfield will be paced by Arturo Gomez, Jorge Butron, and Zanin Mahic give a consistent strength to our midfield. And that’s not to forget Khalid Arramdani, the team’s all-time NPSL goal-scoring leader. “We are solid all over the pitch this season,” Forte said. “I believe as long we stay consistent we won’t have any particular strength. As one of three new teams in the division, El Farolito FC head coach Santiago Lopez admitted his squad’s lack of experience could be a drawback. “It’s our first year in the league and we don’t know the road ahead,” he said, adding that only two players on the roster have NPSL experience. One player that Lopez is counting on is forward Carlos Montes, who scored five goals in two Lamar Hunt U.S. Open Cup qualifying matches. Attacking midfielder Dominic Hertz, known for his work ethic, and outside mid Julio Herrera are expected to contribute as well. El Farolito FC’s goals are simple. “We are focused in starting the season on the right track and hopefully we can be one of the top teams in our conference and qualify for the playoffs,” Lopez said. FC Davis also will be taking its first steps in the NPSL. “Getting used to conference play and the teams and playing locations takes time,” team president Adam Lewin said. Still, Lewin has liked what he has seen. “We are a technical, athletic [team] and deep at every position,” he said. Guided by head coach Andrew Bailey, the director of coaching at Northbay Elite, FC Davis’s strength is in its midfield with Onah Power, Carlos Carranza, Allan Espinoza and Miguel Acevedo. Greg Salazar will help anchor the backline. Another first-year team, Academica SC has several players who performed together in college. So, the players are already familiar with one another. “We think we can compete from day one and we are aiming to make playoffs,” club president Simon Bettencourt said. In fact, Academica SC hope to turn a head or two, even though only a few players have played at this level before this year. Coach Sergio Sousa will rely on defenders Jorge Andrade, Arnaldo Gutierrez and Brennen Canfield and midfielders Gerardo Cazares and David Esparza and defender Brennen Canfield. After finishing in fifth and in last place in 2017, Napa Valley 1839 (1-6-5) has nowhere to go but up as it tries to bolster its attack (division-low 13 goals). Finishing out of a playoff berth by two points last season, Sacramento Gold (4-3-5) will try to reach the postseason. Sacramento boasted the conference’s best defense, allowing 18 goals. Midfielder Danny Cuevas was a West Region Best XI selection.